Made of wood. 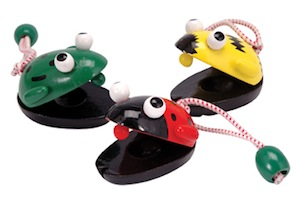 Comes in assorted styles of bees, ladybugs, and frogs. Price is per castanet. Non-toxic.